The brain child of Aaron Hodder and Katrina Edgar… and thanks to Richard Robinson and David Greenlees for sharing their experiences on setting up a meet up group for software testers…. 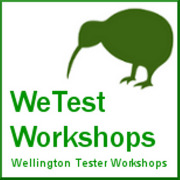 For testers in Wellington who are interested in testing discussions with other practitioners. Monthly workshop events of a similar format to KWST – a presenter introduces a topic to the group, and attendees are then encouraged to discuss, question, challenge, and share ideas on that topic. Participation is expected, so come prepared to contribute! Meet thinking testers in the Wellington testing community, engage in practical discussion, and eat pizza.